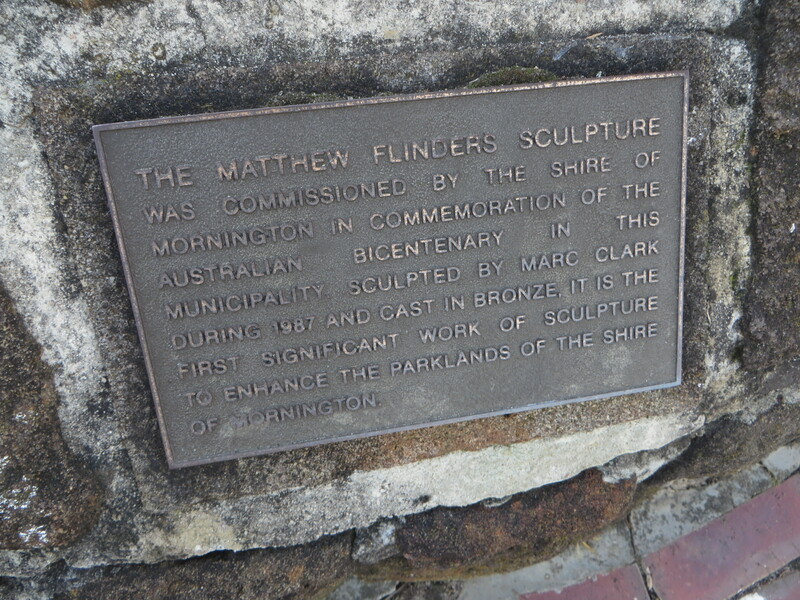 Down at Mornington (and here) they’re aware of their connection with Matthew Flinders. 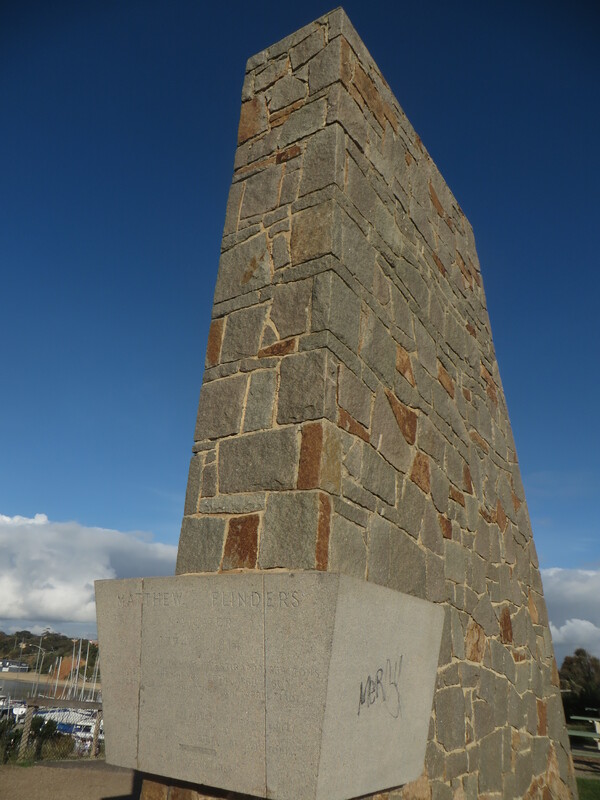 I see that Flinders landed at Birdrock Beach (a little way to the south) on 29 April 1802 and carried his survey instruments to Schnapper Point from which he made the first survey of Port Phillip Bay. 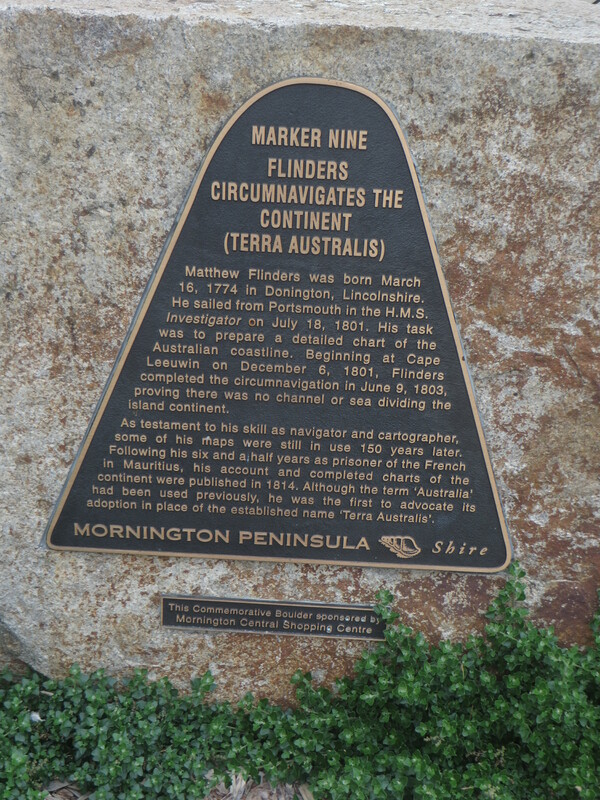 Flinders wasn’t the first to enter or even map Port Phillip, but seemingly his work was respected because it was comprehensive. 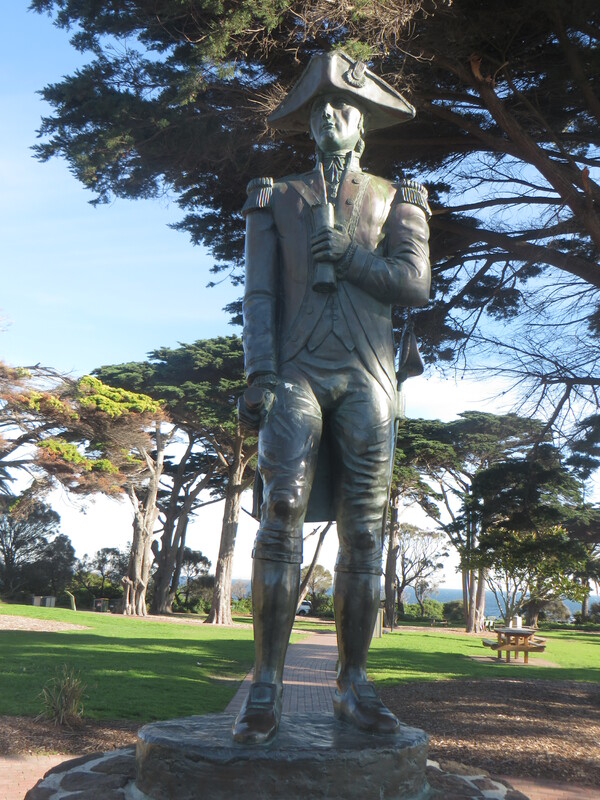 There a nice statue of Flinders in the park. This was erected as a Bicentennial project, along with a separate marker and plaque. 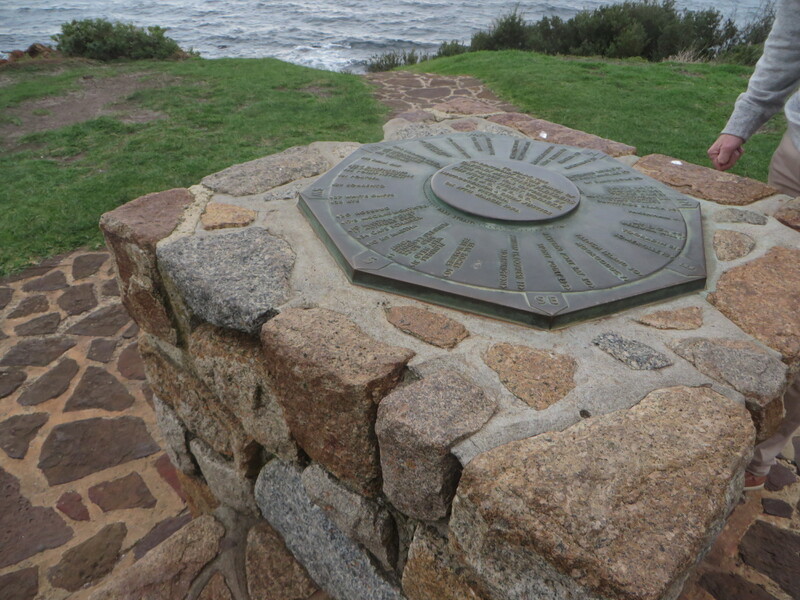 The obelisk at the highest point of the cliffs commemorates the 150th anniversary of his entry into Port Phillip Bay, and, alongside it, the compass commemorates the 200th anniversary of his birth. 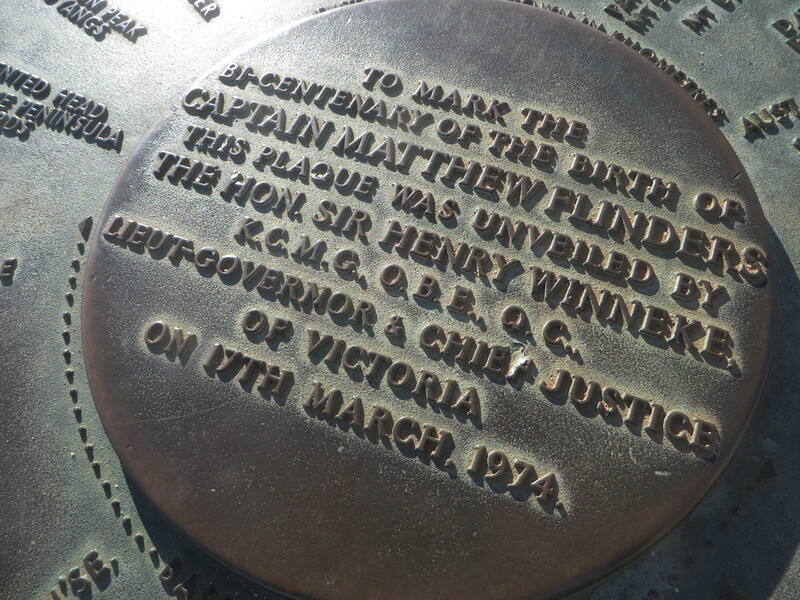 There’s also a plaque at the base of the flagpole.